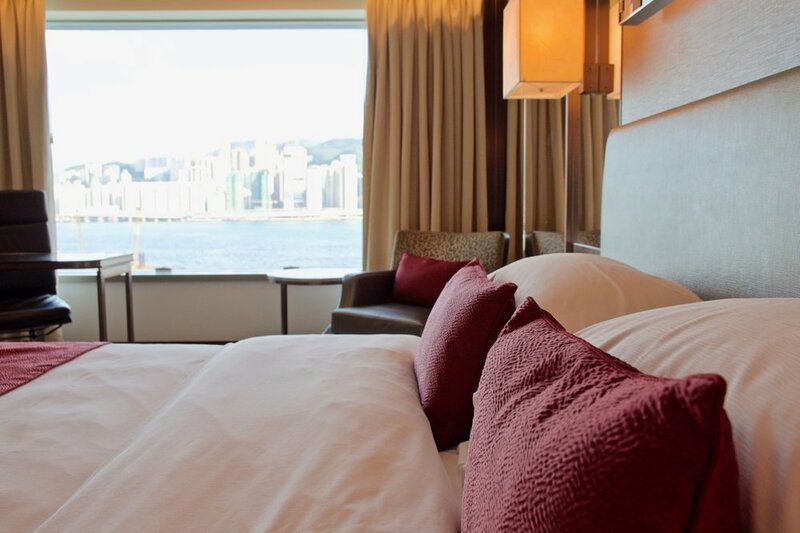 Set against the stunning backdrop of Victoria Harbour, half of the hotel’s 572 luxuriously appointed guest rooms and suites boost sweeping views of picturesque Hong Kong skyline and breathtaking Victoria Harbour. Located in the proximity of the world-famous Star Ferry and within easy reach of all major transportation systems such as the Mass Transit Railway (MTR) and Guangzhou-Kowloon Through Train Station, the hotel offers easy accessibility within the city and entry into China. We thoroughly enjoyed staying in the Premier Side Harbour View Room. A room with breathtaking views and boasting contemporary design, we loved the generous working space and the availability of the handy phone which (amongst other things) offered complimentary internet connection on the go. The room was well appointed and also featured marble bathrooms with luxurious Agraria amenities. InterContinental Grand Stanford Hong Kong provides the finest selection of world-class dining outlets from famed Cantonese cuisine at Hoi King Heen crafted by award-winning native Chef Leung, passionately prepared Italian cuisine at Theo Mistral (see link below) with finest Italian produce, to contemporary international buffet at Café on M and Tiffany’s New York Bar, knowing as Capital of Whisky with the largest whisky capacity in town. Facilities also include a beautiful pool located on the rooftop, a 24 hour fitness centre, spa and a designated business centre. In a highly anticipated debut, British Celebrity Chef Theo Randall has recently opened his first restaurant venture in Hong Kong, Theo Mistral by Theo Randall.